Before the vacation, I had to get a new laptop as my old one was way too old. I knew I didn't need a super powerful laptop; for what I use it (outside work) a tiny little one, with office and some apps was more than enough. The idea of having a table also popped to my mind, but I wanted to have Windows and also the advantages of a laptop. Guess what?! I found an amazing 2-in-1!! 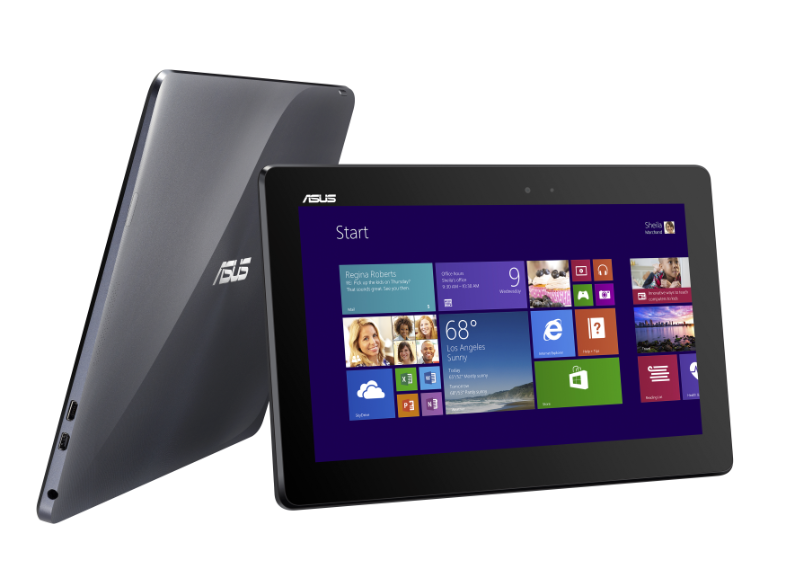 Without further dues, let me present you the ASUS Transformer Book!! 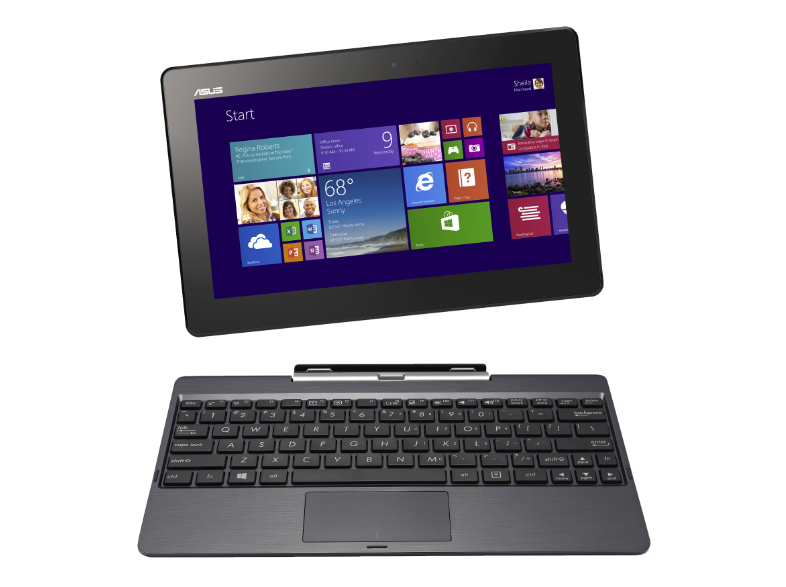 Transformer Book T100 is a compact ultraportable that combines the productivity features of a laptop with the easy portability of a tablet — and you can switch between the two in an instant. At just 1.07kg, T100 is one of the lightest laptops around, but detach the 10.1-inch display from the keyboard and it becomes an equally lightweight multi-touch tablet you can take anywhere. The sleek design features a durable finish, too, so T100 will always look its best. 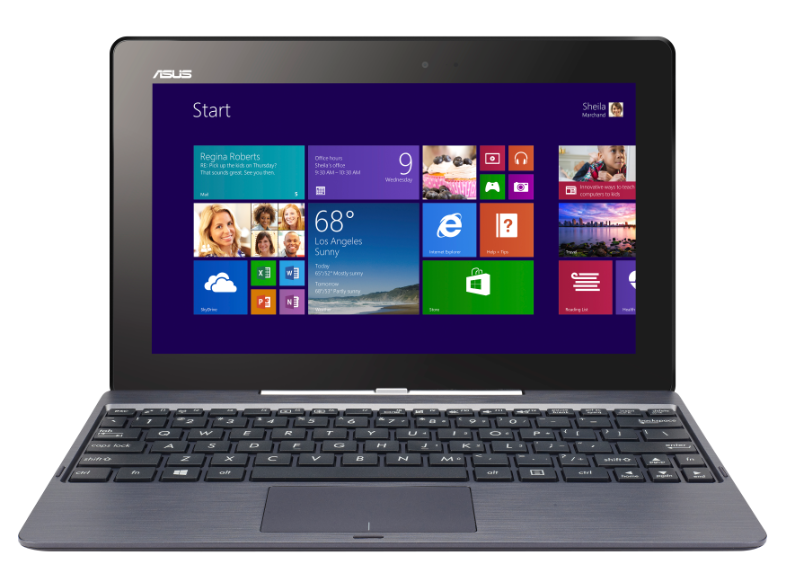 Transformer Book T100 is powered by the latest Intel® Atom™ Z3740 quad-core processor for perfect balance of multi-tasking performance and outstanding energy efficiency. With up to 11 hours battery life, T100 can last for more than a full working day before it needs to be recharged and with Microsoft Office Home & Student 2013 supplied pre-installed, your productivity will know no bounds. eMMC storage makes launching apps and saving files speedy, too, while USB 3.0 supports next-generation SuperSpeed storage devices for turbo-charged data transfers. So far, I'm loving it; it's light, small but not nanoscale like, portable, laptop/pc functions plus advantages of a tablet. The minus is Windows 8.... I still don't get the heck of it, but I hope that comes with the time.